On Apr. 2, Tech’s Ferst Center welcomed The Honeycutters to their stage. The performance was originally planned to take at the Amphitheatre near the Ferst Center, but due to inclement weather, it was moved indoors, something that the band was quick to comment about during their time on stage. The band was quite friendly and laughed easily, even when nothing funny had occurred, leading the audience to realize they are true friends, with inside jokes and a real passion for their music. The Americana-style band performed many original songs, mostly written by their lead singer Amanda Anne Platt, in addition to their rendition of Leonard Cohen’s “Hallelujah.” Each song featured various uncommon instruments with Tal Taylor specializing in the mandolin, which even received a solo during one song, and Rick Cooper playing the bass. Sadly, the emphasis that the Honeycutters placed on instrumental variety did not translate well on their advertising flyers which, through some overlooked misfortune, left out any mention of the band’s most versatile member, Matt Smith, entirely. Throughout their lengthy performance, Smith switched instruments several times, at one point playing pedal steel and other times the more common place electric guitar. During several songs, Smith even switched to an instrument that looks rather like a guitar, but that is in fact, the band’s website assures the interested fan, a dobro. Fancy unheard-of instruments aside, Platt has a good voice for her genre. Unlike the drummer who sang harmony, Platt’s vocals could be understood as easily as though she were talking, not competing with the instruments or straining to achieve the proper notes with the lyrics. Understanding the lyrics gave the band’s original songs more meaning and made the point that instruments do not need to strive so hard to tell a story; humanity has language for a reason. The combined ill effects of having a concert at noon on a Thursday, changing venues at the last minute and having rather poor publicity about the event beforehand resulted in a less than stellar turnout for the Honeycutter’s concert. Even so, Platt’s jovial attitude and charismatic greeting of the audience was a great start to the Honeycutter’s act, and her spirits remained high throughout the performance. At one point, between songs, Platt asked the audience why they were there at such an odd time, as though people have nothing better to do in the middle of a weekday. To her surprise, she actually received an answer. One brutally honest student in the audience confessed that he was skipping class. After his answer, the rest of the admittedly small audience gained courage and for the rest of the performance the band and audience held small conversations between songs. 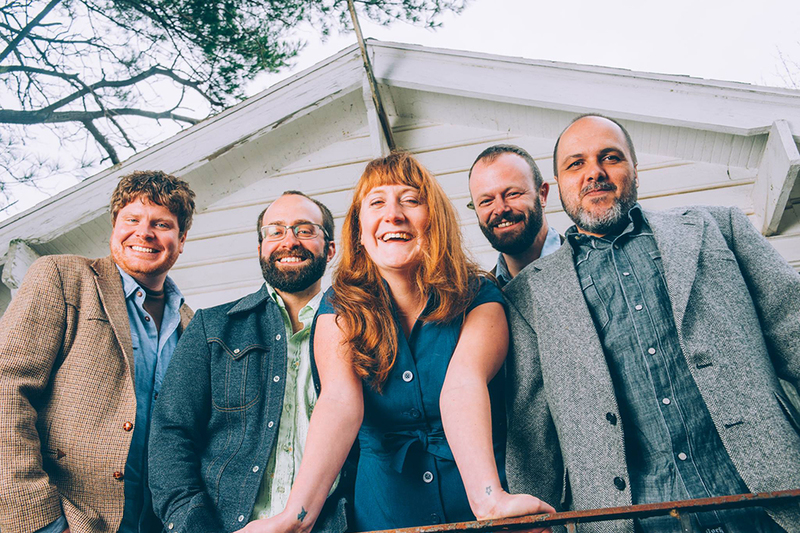 The Honeycutters, as a relatively new band, have many plans for their future. Already, they intend to be back in Georgia to perform at Eddie’s Attic on May 3, and have already completed a new album. Me Oh My, the band’s most recent album, is set to be released on Apr. 21 by Organic Records, but already fans of the band may preorder and receive a few preview songs. During their Thursday concert, the Honeycutters demonstrated some of these new songs to the general enjoyment of the few present audience members. While it is quite apparent that this band is only entertaining to a select few, their fan base seems to be dedicated, and for those who enjoy the Americana and country genres, this band conceivably holds a bright future.